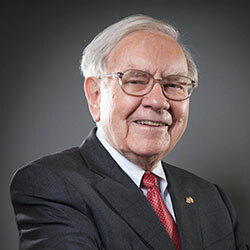 Widely regarded as one the most successful investors in the world, Warren Buffett began his business and investing ventures in 1947 while attending the University of Pennsylvania. He started various business partnerships at an early age and together with Charlie Munger created Buffett Partnership, which will be later called Berkshire Hathaway after acquiring the textile manufacturing firm with the same name. These partnerships made him a millionaire by the early 60s and he became a billionaire in 1990 when Berkshire Hathaway began selling class A shares. His successful investing career made Warren Buffett a high profile business person and in 2008 it was reported that there are around 50 books written about him or his investing strategies. Almost all successful entrepreneurs mention reading as one of their habits, but perhaps no one emphasizes reading as an attribute to success more than Buffett. He actually spends as much as 80% of his time reading, with an average of 500 pages per day. That is simply amazing. He began reading when he was just 7 or 8 years old, reading books lying around his father’s small investment shop. He soon picked up a passion for reading and by 11 he was “devouring” books on all sorts of topics at the local public library in Omaha. He actually said that one of the books read during those times will change his life forever. And that book was The Intelligent Investor, an investing manual written by Columbia Business School professor Benjamin Graham. There are some other Warren Buffet books you should read, of course.